Take your students behind the scenes of Victorian Opera’s schools production through livestreamed workshops and performances. Access All Areas: Livestream Program takes your students on a journey into the world of opera without leaving the classroom. Students will learn about the process of producing opera including character creation, set and prop design, and how the production moves from the rehearsal room to the stage. 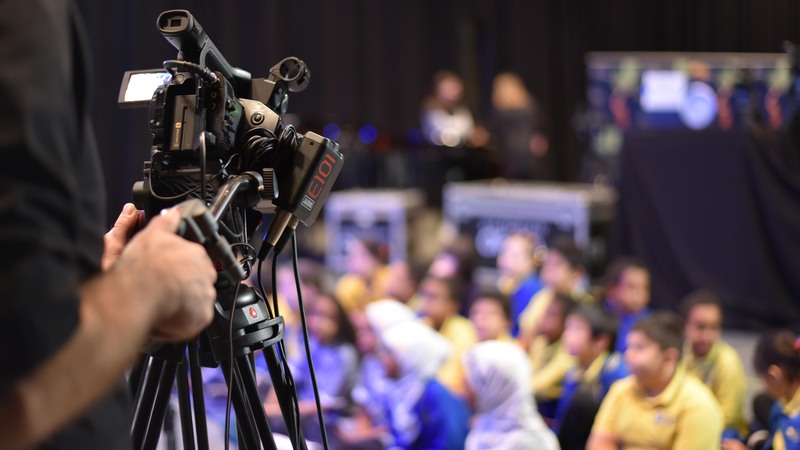 Schools across all corners of the state can experience backstage footage and performances livestreamed direct to the classroom. Join the Access All Areas experience with Victorian Opera’s Alice Through the Opera Glass. Please note: Sections of this production will be sung in French, Italian and German with English scene descriptors. All workshops will run for approximately 45 minutes and are livestreamed directly into the classroom. To find out more about accessing the workshops, see the How does it work? section below. Check out the video below to see some of the highlights from the 2018 Access All Areas: Hansel and Gretel Livestream Program. Schools that sign up to the program will receive an email with the link and login details required to access the livestreamed workshops and performance*. Workshops will also be made available on-demand to better suit school timetable planning. The program is priced according to a school’s location from Arts Centre Melbourne. All prices cover the cost of viewing the performance and include four free livestreamed workshops. Choose from an option below to find out more. * The livestreamed performance is only available to schools outside of 150kms from Arts Centre Melbourne. For more information, please contact our Education Officer, Ioanna Salmanidis on (03) 9012 6659 or ioannas@victorianopera.com.au.